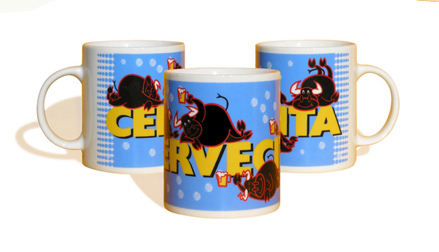 This ceramic mug has a retro design and is decorated with the greatest Spanish symbols: black bull, guitar, paella, polka-dot shoe, carnation. This mug is perfect to have a cup of tea or coffee. Presented in a box with the same design than the mug. Dimensions: 13 cm.